Howdy! Is anyone else obsessed with decorative pillows? Target has been selling the darn cutest pillows in their dollar section, and it takes so much will power not to buy them all! You know what is better than adorable cheap target pillows? 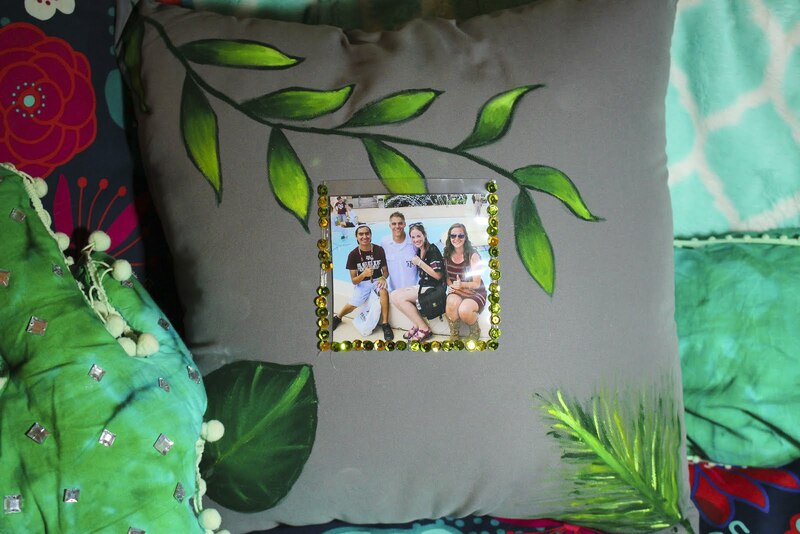 Personalized pillows of course!! 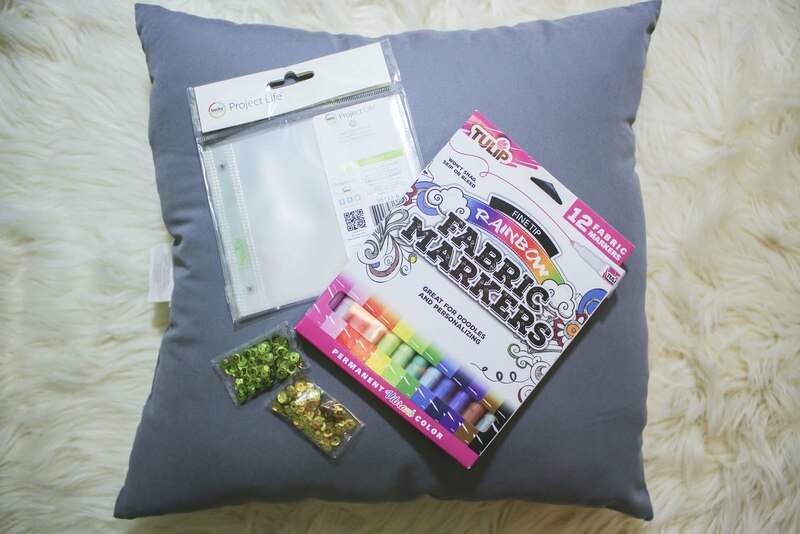 I've always wanted to make this DIY for my blog and finally got around to doing it. Hope y'all enjoy! 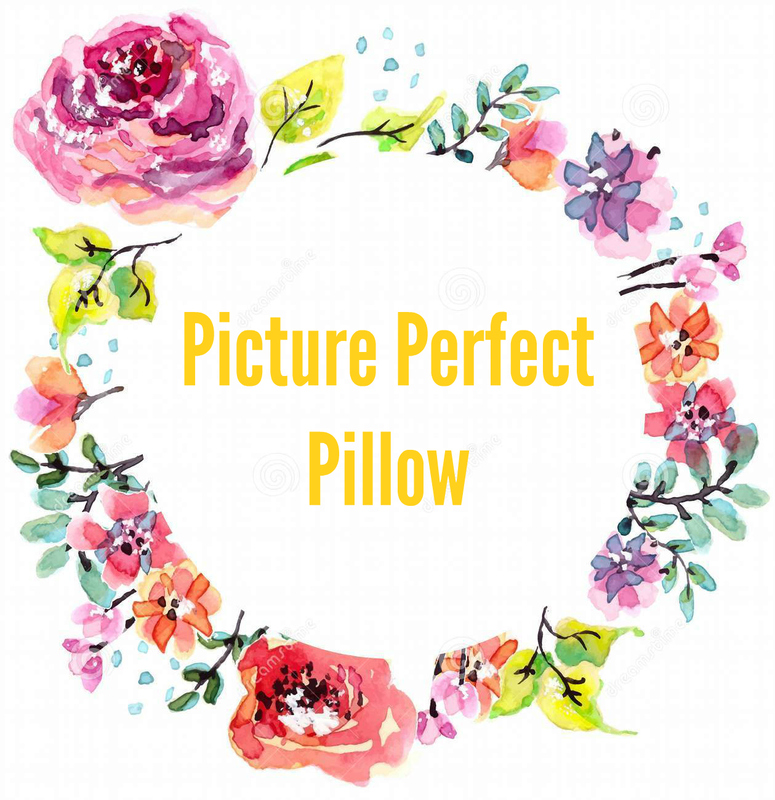 To begin, you are going to want to decide what you want your pillow to look like. 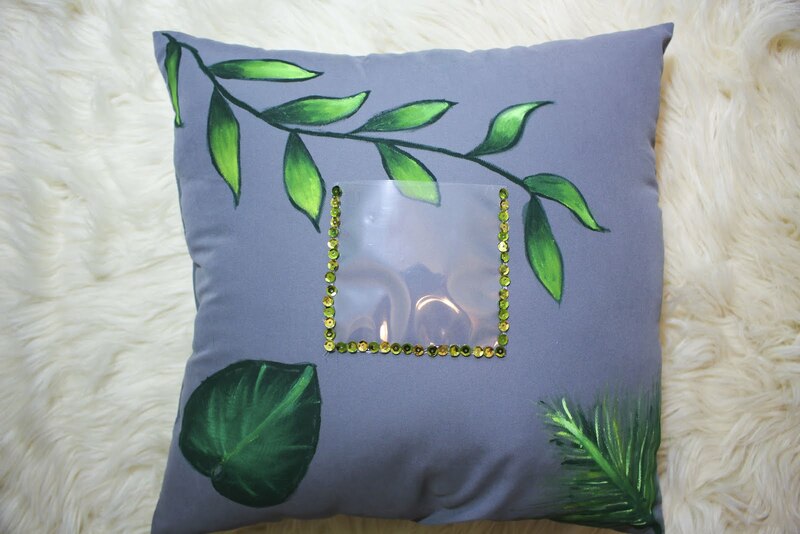 Because I am super into plant decor right now, I drew inspiration from LaurDIY's recent video where she painted a tropical leaf pattern. 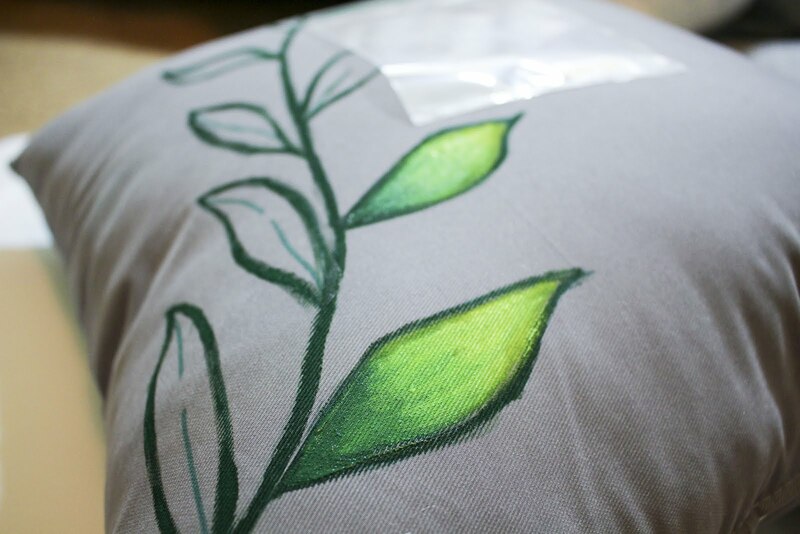 Once you have decided upon your design, you can either begin directly painting on to your pillow if you're brave, or you can use fabric markers to draw out your design first. 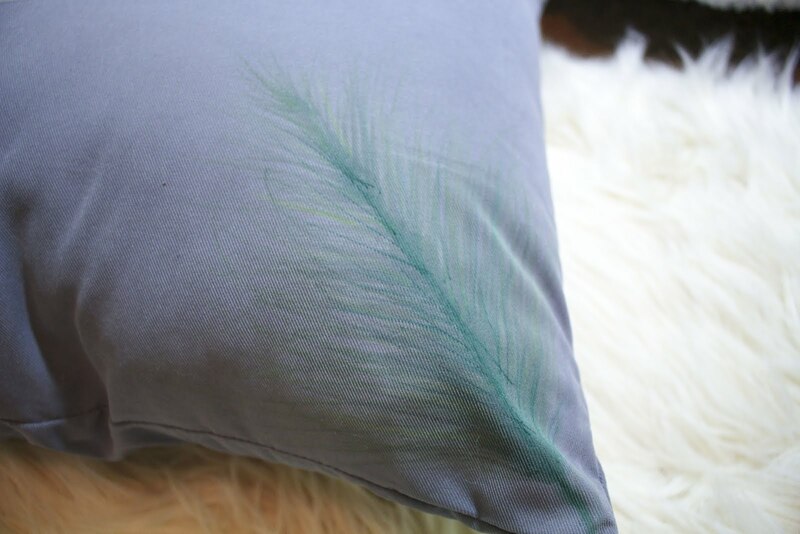 When you have your design all marked out on your pillow, take your fabric paint and begin adding color and detail to your pillow. 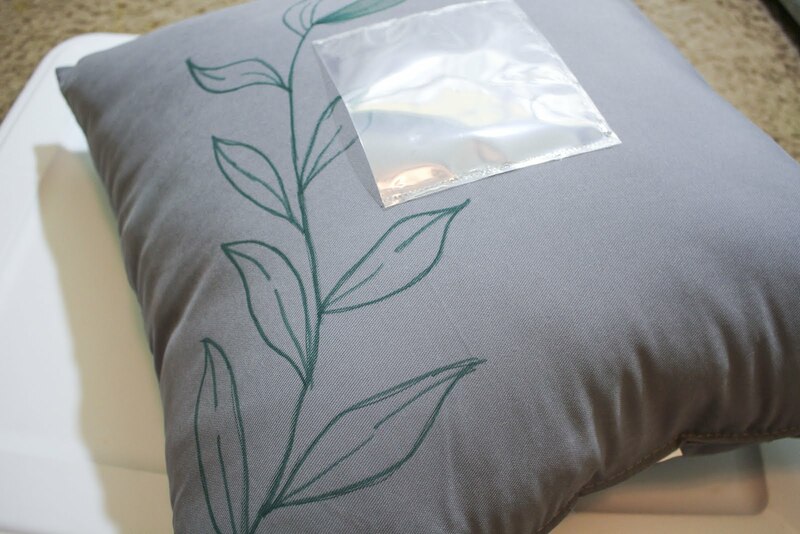 After your paint is all dried, you are going to place your photo sleeve on the pillow. I did this before hand, and it made painting more difficult. 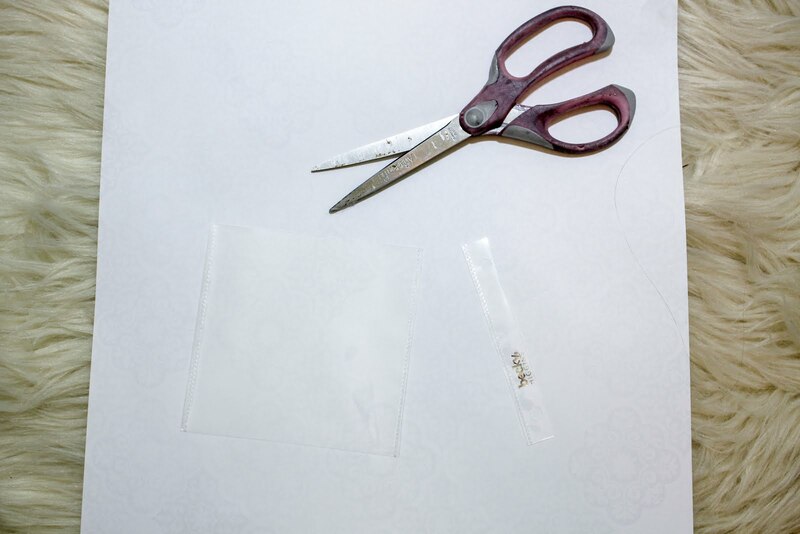 Begin by cutting off the portion of the sleeve that goes into an album. 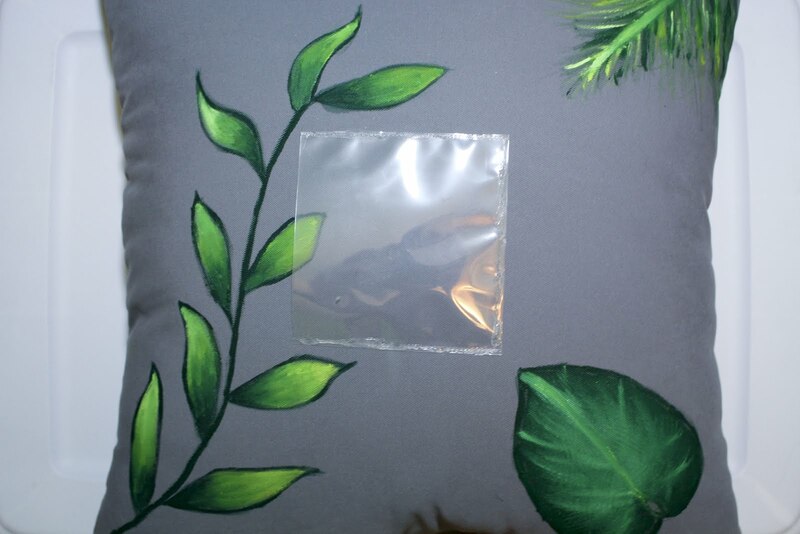 Hot glue the photo sleeve to the pillow. 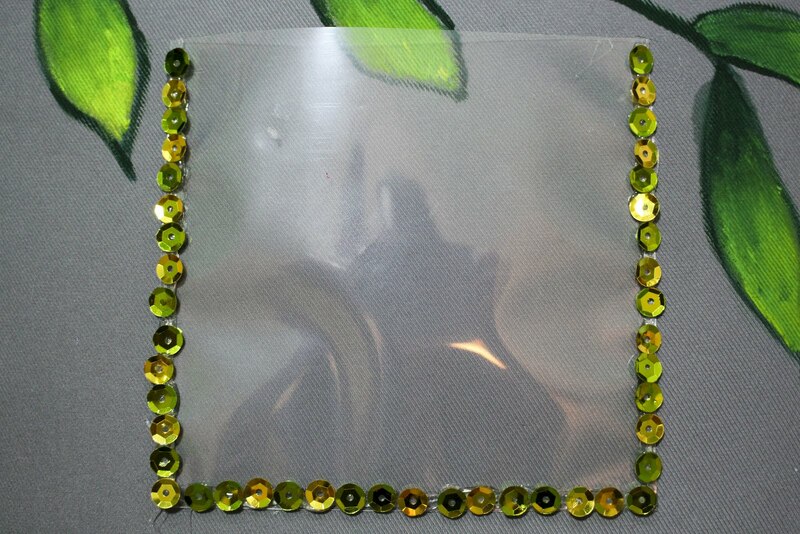 Using sequins that match your design, glue them around the three closed sides of the sleeve. Finally, find a fund memorable photo and place it in the sleeve. Throw you pillow somewhere nice and you are all set! 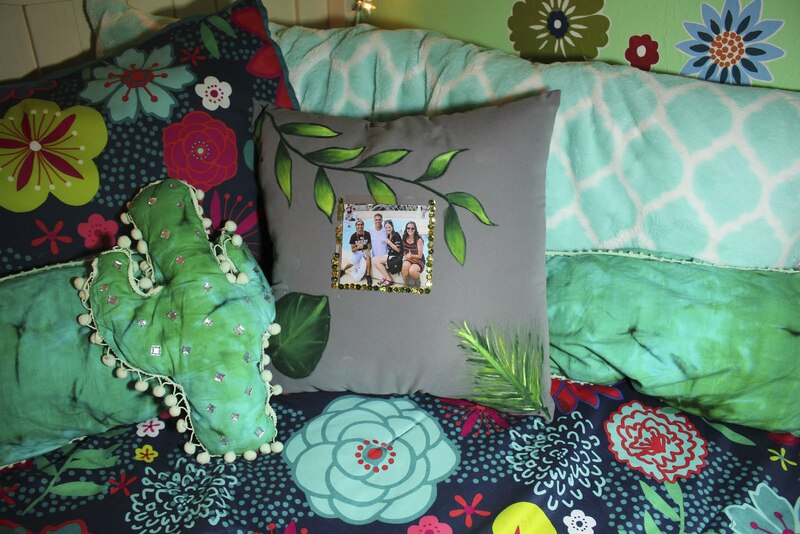 And if you like that cactus pillow in the photo below, check out how to make it here!